Winter not only brings with it the cold weather, but also the potential for heating electricity costs to skyrocket. There are, however, ways to limit electricity spend as the cold sets in, from ensuring your residence is properly insulated to using appropriate, energy efficient heating appliances. Electricity usage will, of course, naturally vary from one household to another, dependent upon individual circumstances, and vary from day-to-day and season-to-season, however most households will experience a spike in costs over the winter months. The Electricity Authority notes in its 2016 Electricity in New Zealand report that while there are daily and seasonal patterns of demand, “electricity consumption is usually highest on cold winter evenings when people want to heat their houses”. Many households will experience a boost in peak demand in the evenings throughout winter, which in turn will be reflected at the end of a billing period once an invoice arrives. This means that ahead of the winter months it is important for households seeking to limit electricity costs to take action, and it could well be that the steps taken now will result in significant savings in the coming months. 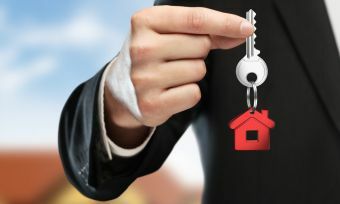 As a first step, it is worthwhile determining how well your residence can keep out the cold. The extent to which you can keep the cold weather out will in turn limit reliance on heating, while homes without adequate insulation will be more costly to heat. 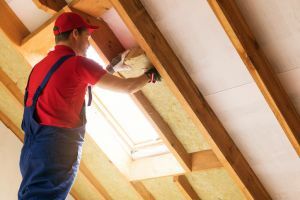 Energywise recommends using a trained professional to install or upgrade a residence’s insulation, getting more than one quote and comparing prices. Meanwhile, householders should also consider other avenues via which the cold may creep in or heat escape, such as via doors and windows. Checking hinges and catches or latches – tightening up any that are loose. Adding weather stripping – sealing gaps around most doors or windows. Sealing door or window trims – using clear or paintable sealant. Fitting draught excluders – for gaps under internal and external doors. Replacing damaged rubber seals – around aluminium joinery. Additional measures recommended by Energwise include blocking chimneys of unused fireplaces, sealing gaps around electrical wiring and plumbing passages, checking extractor fans and rangehoods, and checking recessed downlights for air leakage. It is important to utilise the most appropriate type and size of heater for the space you are seeking to heat, and worthwhile considering the upfront, short-term costs of a heating appliance versus the sort of costs that are likely to be accrued over the longer term. 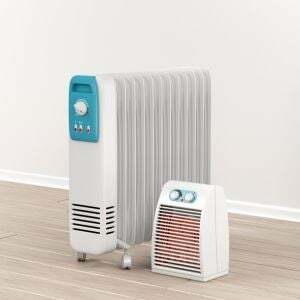 A small electric heater may well be suitable for infrequent use and heating in confined spaces, and will likely cost less upfront than many other heating options, however it should be kept in mind that it will likely be more expensive to run than other options in the longer term. Electric heaters – cheap to buy and good for heating smaller spaces, however a lower heat output than most other options and more expensive to run than other options. Heat pumps – low running costs when used properly, producing instant heat, however must be sized correctly for both the space and climate, while some are a lot more efficient than others (refer to the Energy Rating Label). Central heating – can provide heating for your entire house, however can be expensive to install and expensive to run if a residence is not well insulated, while it is worth opting for a system with an individual thermostat for each room. Modern wood burners – low running costs, especially if free or cheap firewood is available, producing very little pollution and good for heating large spaces, while it should be kept in mind that firewood must be dry to burn cleanly and efficiently, and a building consent will be required for installation. Wood pellet burners – good for heating large spaces and providing better heat control than wood burners, however use a small amount of electricity and will not work if electricity is down, while a building consent will be required for installation. Flued gas (natural or LPG) heaters or fireplaces – also good for heating large spaces, however different gas charges should be kept in mind (such as fixed charges for reticulated supply), while a gas heater must be installed by a registered gas fitter. In determining which heating method is best suited and most economical for your household, it is worthwhile researching the pros and cons of a range of options, both in the short and long term, and consulting heating experts. Of course, whatever your choice of heater, you should only use it as needed, and take care not to leave it on when it is not required. Energywise advises that World Health Organisation guidelines recommend a minimum temperature in houses of 18˚C, or higher for more vulnerable groups, such as children, the elderly and people who are ill. 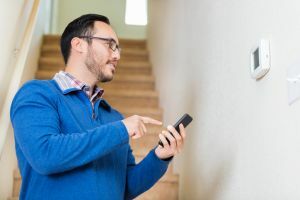 It is certainly worthwhile keeping tabs on the temperature you are seeking to maintain in the different rooms of a house, with different heating options delivering additional control via thermostat and/or timer applications. When it comes to monitoring electricity spend, many retailers provide online account management and monitoring tools, and a good starting point may well be to consider your historical spend over previous winter periods, providing a reference point for the potential costs you may accrue. Keeping tabs on your electricity spend will help to avoid bill shock at the end of a billing period, with consumers potentially able to alter their patterns of usage if costs are climbing. Electricity usage details – an hourly, daily, weekly or monthly record of usage over a billing period. Real-time data – up-to-date usage and cost details. Historical usage – usage and cost details from previous billing periods. Graphs and tables – which can make information more accessible and potentially provide further insight into patterns of usage. Bill estimates – the likely total cost set be accrued over a billing period. Consumers should check with their retailer to determine the sorts of tools that they have at their disposal.